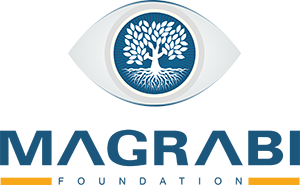 The course is based on the international core curriculum for ophthalmic assistants developed by the International Council of Ophthalmology (ICO) and IJCAHPO. The enrolled participants are being prepared to obtain an international accredited certification as per the standards of International Council of Ophthalmology (ICO) and International Joint Commission of Allied Health Personnel in Ophthalmology (IJCAHPO) and experience a mix of interactive sessions and practical applications of essential clinical skills. 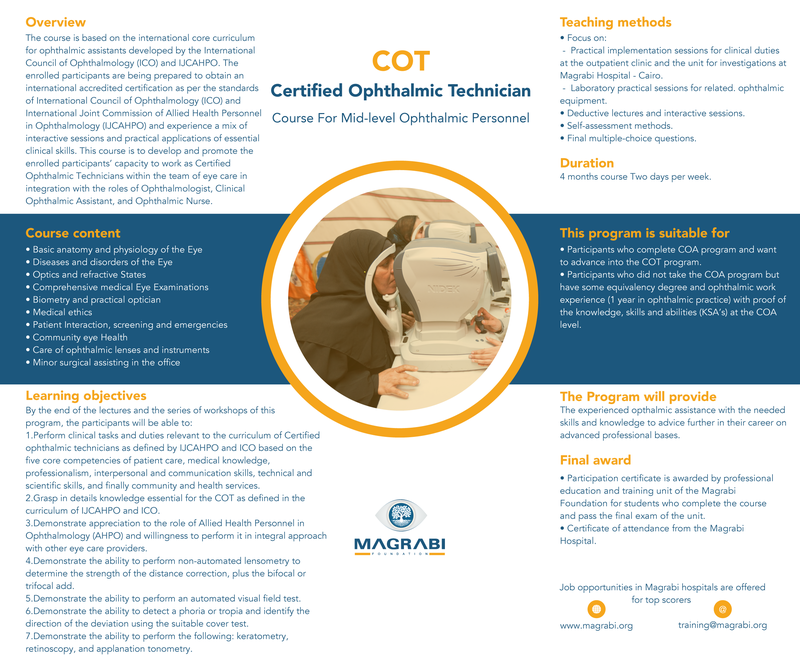 This course is to develop and promote the enrolled participants’ capacity to work as Certified Ophthalmic Technicians within the team of eye care in integration with the roles of Ophthalmologist, Clinical Ophthalmic Assistant, and Ophthalmic Nurse. 2. Grasp in details knowledge essential for the COT as defined in the curriculum of IJCAHPO and ICO. 3. Demonstrate appreciation to the role of Allied Health Personnel in Ophthalmology (AHPO) and willingness to perform it in integral approach with other eye care providers. 4. Demonstrate the ability to perform non-automated lensometry to determine the strength of the distance correction, plus the bifocal or trifocal add. • Participants who complete COA program and want to advance into the COT program. • Participants who did not take the COA program but have some equivalency Degree and ophthalmic work experience (1 year in ophthalmic practice) with proof of the knowledge, skills and abilities (KSA’s) at the COA level. • Deductive lectures and interactive sessions. • Participation Certificate is awarded by Professional education and training unit of the Magrabi foundation for students who complete the course and pass the final exam of the unit.